With numerous displays and show gardens available the team are hoping that anyone looking for Landscaping, Driveways or Fencing Projects will come and take a look at their center and discuss their requirements in more detail. Caroline also offers a planting design service and the team has now joined forces with a Dutch company supplying the highest quality specimen plants. 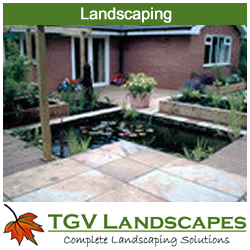 The Garden Village Garden Design team are highly experienced in the Planning, Designing, Management and construction of your Landscape project and Planting Schemes. 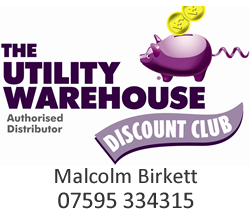 We cater for all budgets and sizes of jobs. We specialise in creating usable garden rooms and entertaining areas, for you, your family and friends to relax and enjoy. Buy your Wheelie Bin Store, Wheelie Bin Cover, Wheelie Bin Screen Direct from the manufacturer here at The Garden Village. The Garden Village have been manufacturing Wheelie Bin Stores and Recycle Box Chests since 2007, from our site in the Ribble Valley, Lancashire. TGV Landscapes are passionate about “inclusive play”, and we do this through accommodating children of all ages and ability to discover their imaginations through innovative and creative play. Particular emphasis is given to creating a safe, friendly environment with a learning theme throughout. Our company specialises in play areas, sensory gardens, woodland walks, outdoor classrooms, multisport pitches, parks and recreations, leisure and outdoor fitness.Particular emphasis is given to creating a safe, friendly environment with a learning theme throughout. Our outdoor spaces can be designed for combined use by all children, including those with special needs such as wheelchair users and children with learning difficulties. We purchase our products from Kompan. Our Brand New Caravan Storage Facility is now available at Hawkshaw Business Park, Longsight Road, Clayton-Le-Dale, Nr Mellor BB2 7JA (at Mrs Dowsons Ice Cream and close to British Aerospace). Our rates are competitive and we offer a secure site all on hardstanding with ample room for getting your caravan in and out. Eco Workspaces – Here at Hawkshaw Business Park we have created a brand new development of low cost eco workspaces. These workspaces are both modern and innovative, ideally suited for small businesses not wanting the commitment and running costs of your own premises.